Both the launched Jawas are powered by a 293cc, liquid-cooled, single-cylinder engine generating 27bhp of power and 28Nm of torque and is BS-VI compliant. The upcoming Perak will have a 334cc engine that develops 30bhp and 31Nm of torque. The company claims the all-new engine uses a double overhead camshaft (DOHC) configuration, which increases the efficiency of the engine at higher speeds. Once launched, these bikes will be taking on Royal Enfield Classic brand of motorbikes. Anupam Thareja, Founder, Classic Legends Pvt Ltd. and Founder and Managing Partner, Phi Capital, said, ‘Jawa Motorcycles has enjoyed a huge fan following and generations have relished riding these iconic motorcycles. Modern classics are becoming more and more popular since people today are looking for character, style and fun. 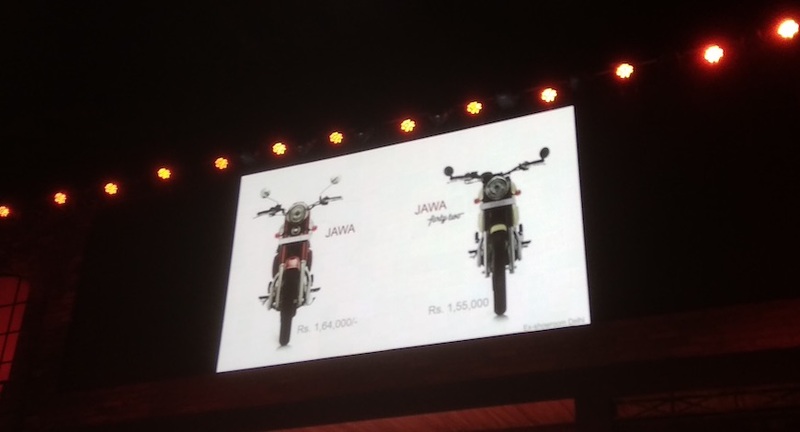 We are excited about the new Jawa Motorcycles that we have unveiled here today.